Inspired by Savannah: It is Not Christmastime at House Until our Wreath from Christmas Forest is Hung Up! 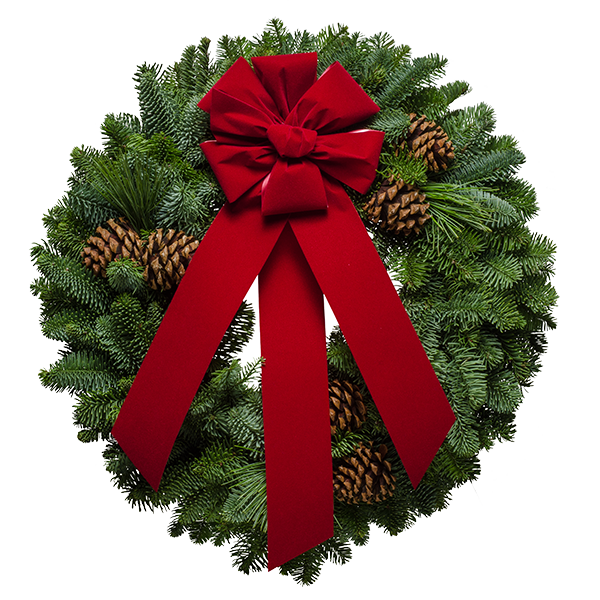 - Enter to #Win Your Own Wreath Today! It is Not Christmastime at House Until our Wreath from Christmas Forest is Hung Up! 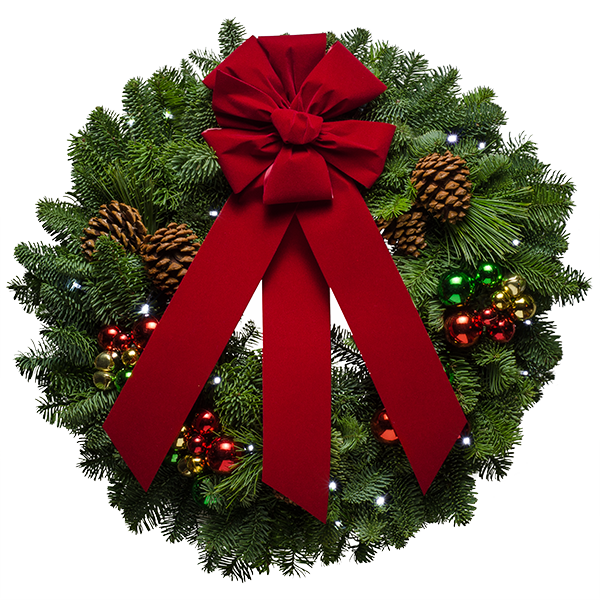 - Enter to #Win Your Own Wreath Today! We have never had a real Christmas tree. Ever since I was little I remember my mother pulling our artificial tree out of the box and fidgeting with the wire limbs to plump up the branches so it would look like a full Christmas tree. While I tree always looked nice, especially once the ornaments were all hung on it, I found myself feeling envious of friends who had a tradition of cutting down a tree on a family's property or at a local tree farm. And, when I would have play dates at my friends' houses, I would admire the fresh pine scent the trees gave off. I promised myself that when I got older and had a place of my own that I would have a real tree. I got my first real tree in college when my roommates and I picked one up in a tree lot in a nearby parking lot near the school. The tree cost $20 and was so tiny. But, we were determined to make it our tree and that we did. I finally was able to have a real tree I could touch, feel and smell. I also found out that you have to water and care for the tree if you have it longer than a week before the holidays. And, if you had pets, you had to be sure they didn't drink the water or relieve themselves on the tree -- things I didn't have to worry about growing up with a fake tree. But, when it comes to hanging a Christmas wreath on the front door, I can't get a fake one...I just can't. After receiving a wreath from the folks at Christmas Forest a few years back, I have become a loyal customer of this popular family wreath business (they also sell ornaments and accessories for hanging wreaths). Not only did I love the assortment of wreaths they offer, but the overall quality of the wreaths is amazing. Customer service is also stellar and they are available to answer your questions about care or help you track your shipment. Like I said, I was first introduced to Christmas Forest when they sent me a wreath to review a few years ago. And, since then, I have made a point to order from them usually after Halloween for myself and my parents. I always say it isn't Christmastime in our house until I hang my wreath from Christmas Forest on the front door. This held true again this year, as I hung our 20" Jingle Bells Christmas Wreath the kind folks at Christmas Forest sent me, while the girls helped their Daddy string lights around the bushes and small trees in our front yard. And, as day turned into night and the girls flipped the switch on their lighted bushes, I, too, turned on the lights to our 20" Jingle Bells Christmas Wreath. We all smiled as we admired the Christmas lights and wreath...and, at that moment, we knew Christmastime is here. Aren't these wreathes beautiful? The hard part is choosing which wreath to get or give as a gift, as they are wonderful and would look great on a front door, inside your home, etc. And, with most of the wreathes ranging in prices from $42-$55, you can't go wrong, as the quality is like none I have seen before. This is not the low-end quality wreath you see in stores on in parking lot tree stands. Each and every wreath is full and smells fresh, like it was just cut. And, the way the folks at Christmas Forest dress them up with pine cones and other holiday decor, really make these a wreath to be treasured during the holiday season. 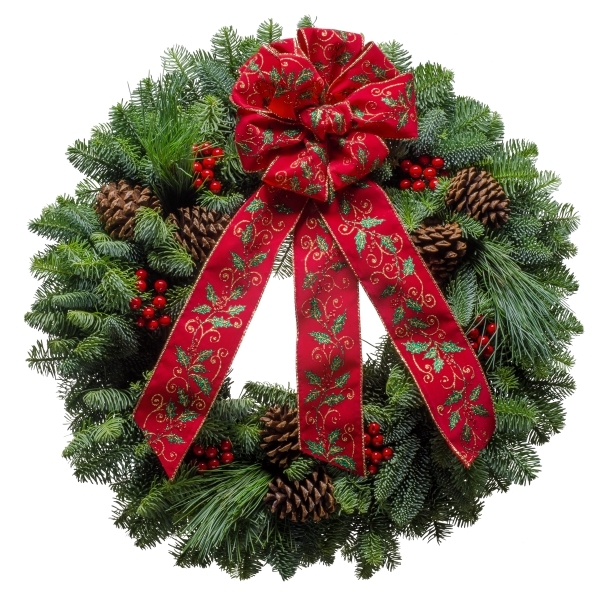 Whenever someone comes to visit, the first thing they see is the wreath on the front door, and usually will make a comment when they come in about the wreath --- it smells amazing or looks beautiful. This is the reason and I so many other people continue to buy and give wreathes from Christmas Forest year after year. 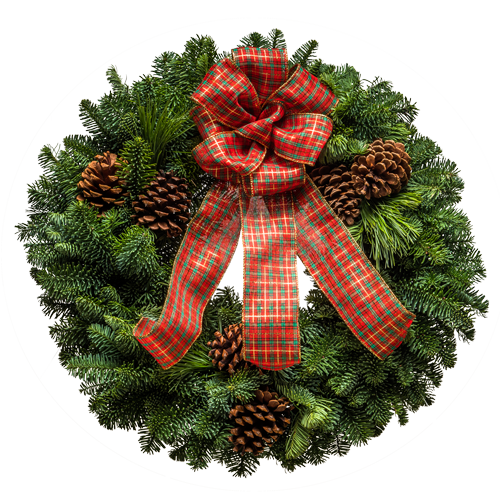 So, with the holidays fast approaching, now is the time to get your wreath order in with Christmas Forest, so that you can get it on time and really enjoy your wreath. 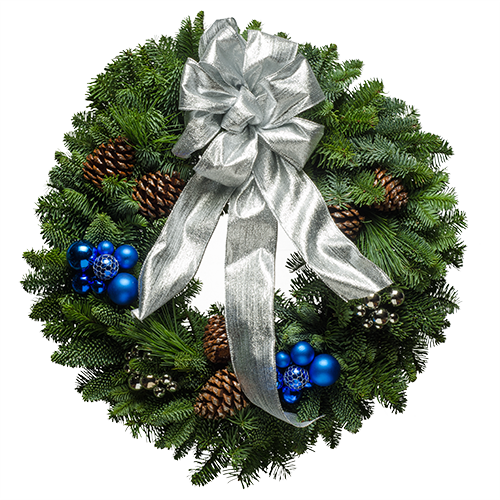 Their wreathes are perfect gifts for those hard to shop for people on your list, parents and grandparents, and even as a gift to new homeowners. 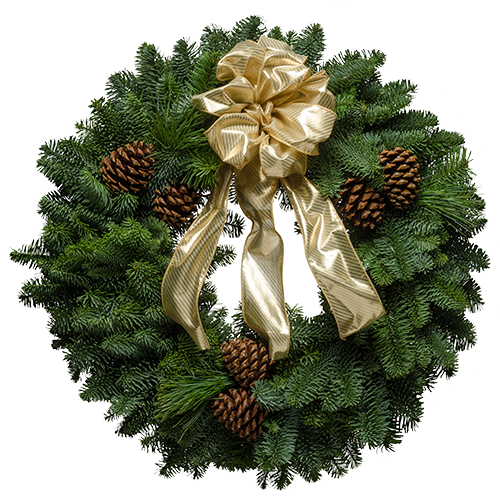 No matter the reason, giving a wreath from Christmas Forest is the perfect gift...and one that will be enjoyed all through the season. 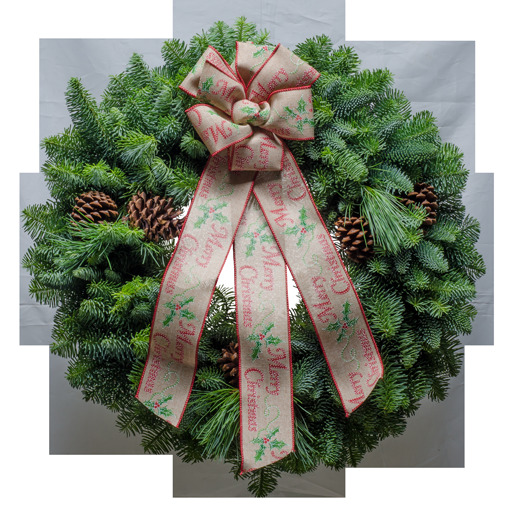 To learn more about Christmas Forest and to place your wreath order with them, visit https://www.christmasforest.com/welcome today. To enter this giveaway, please complete the entries on the Rafflectopter form below. And, don't delay in entering as this is a flash giveaway ending next Thursday, Dec. 1st. Good luck!